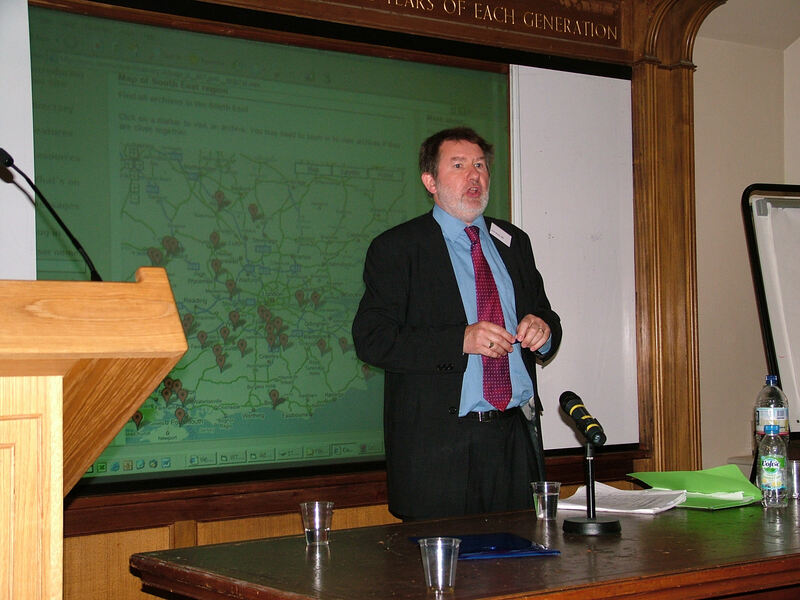 On June 18th, UCL’s Department of Information Studies hosted the National Council on Archives’ Community Archives and Heritage Group (CAHG) conference for the third successive year. 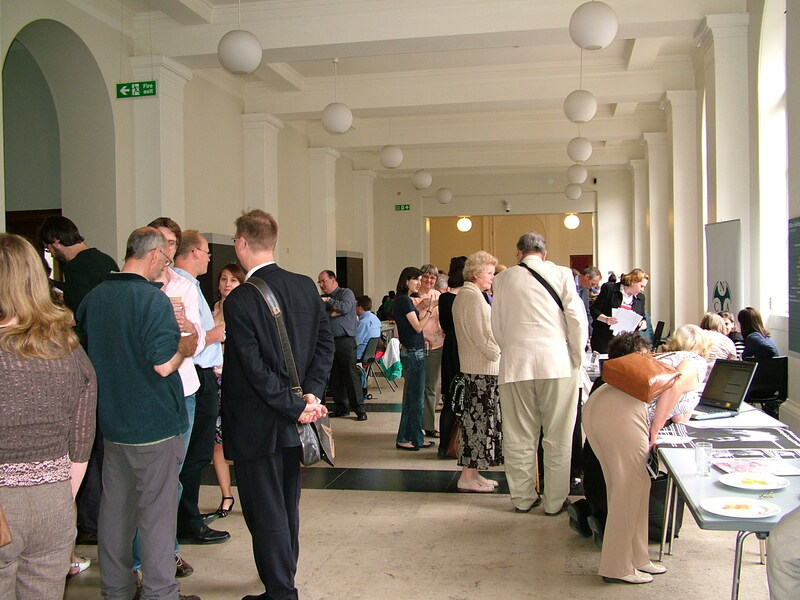 The event was well attended by individuals involved in archive projects and representatives of repositories and groups. The theme of this year’s conference was sustainability. How can community archives continue to flourish and grow during the current period of economic instability? The keynote address this year was delivered by the Shadow Minister for Culture, Ed Vaizey. Vaizey stated that he felt that community archives represented the rich tapestry of British life. He demonstrated knowledge of projects taking place in both his own Wantage and Didcot constituency and nation-wide, commending the hard work of those involved and emphasising the benefits offered to society. He also discussed Conservative plans for archives should the party win the next general election, emphasising a desire to improve the way archives work with volunteers. David Mander, chair for the day, then spoke about the future of the Community Archives and Heritage Group and how the group are looking to widen participation in its work by becoming a membership body. 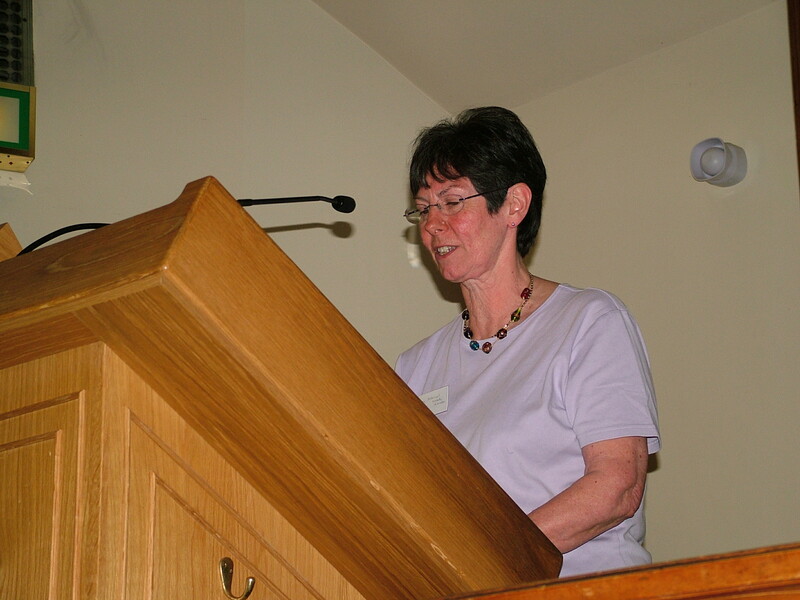 He announced that CAHG will be led by Andrew Flinn (Chair), Jane Golding (Secretary), and Laura Robertson (Treasurer) in an interim period until the 2010 conference when new representatives can be elected. A number of people have already signed up as members, and some have even come forward to help with committee work. 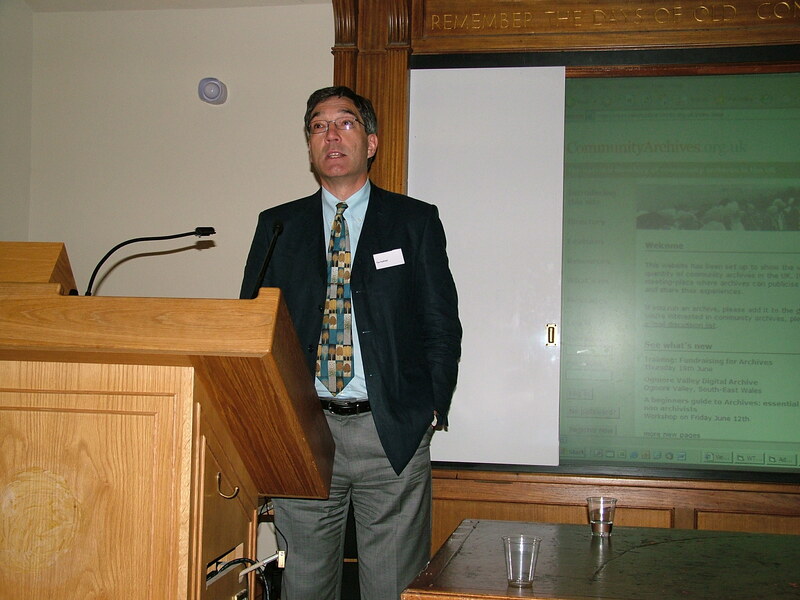 Jonathan Rhys-Lewis, conservation specialist and UCL lecturer, discussed the importance of taking care of your community archive and the main issues that affect access across the sector. The threats described included dirt, water, insects and rodents, acid deterioration, previous storage environments and general damage. His suggested solutions were largely aimed with a budget in mind and surrogacy and documentation of the issue were both discussed. While the audience had visual aids to help recognise problems in their own archives it was suggested that formal training days for volunteers in areas like cleaning would be beneficial. David Mander finished by suggesting the obvious benefits of a digital preservation coalition. Jack Latimer from CommunitySites began his presentation by informing the audience of the results of evaluation from a previous conference. 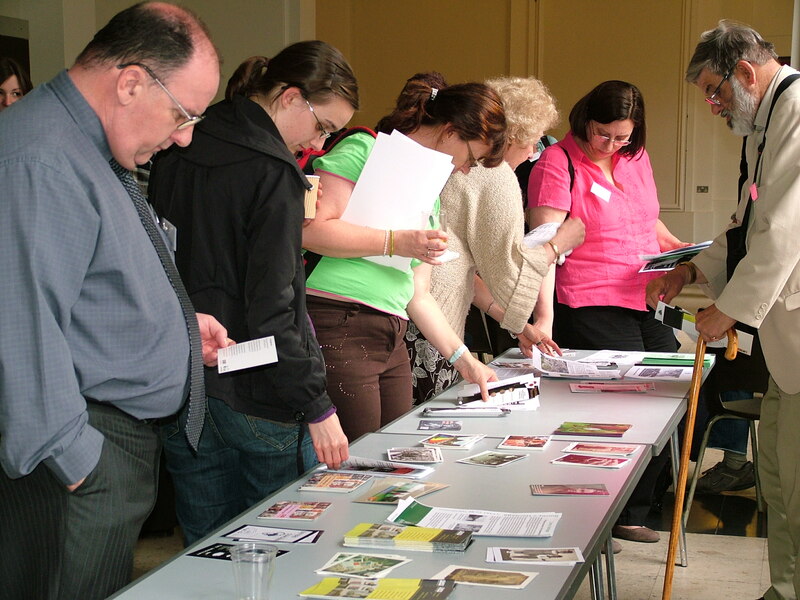 Participants had suggested that cataloguing was the most important element for sustainability of a community archive. New guidelines for cataloguing, developed by CAHG, aim to provide simple and short advice in line with existing standards. He also recognised digital preservation as a hot topic and emphasised the need for more than one storage medium, having file sensitive names and ensuring files remain accessible. The guidelines are available on the Community Archives website. 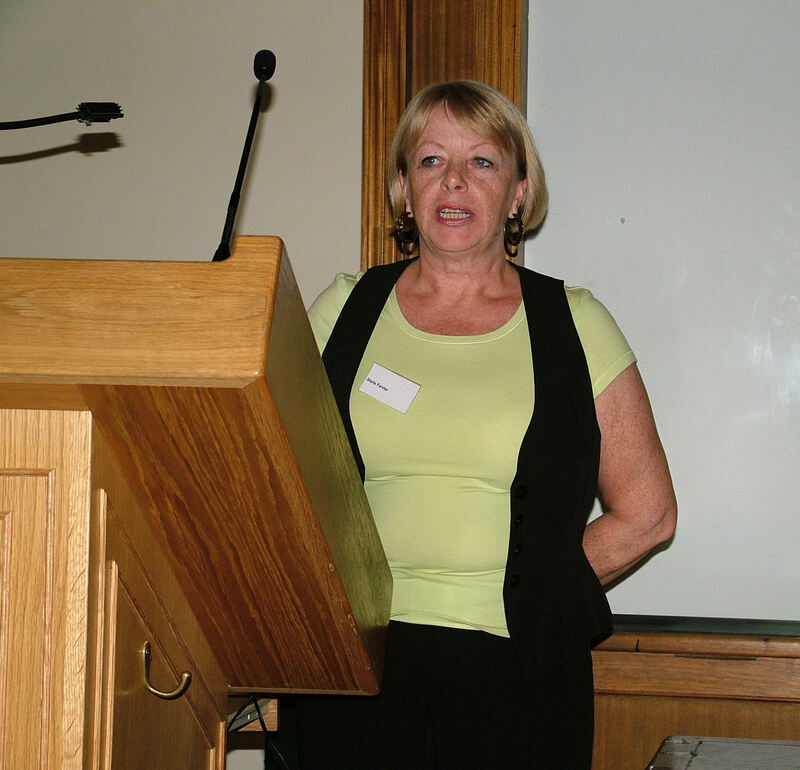 The Living Archive’s first archivist, Eve Watson, spoke on a Heritage Lottery Fund (HLF) project to retrospectively catalogue their holdings. Living Archive has been documenting the gestation of Milton Keynes and its inhabitants for over 25 years, but the archive material created has always been seen as a by-product of the creative interpretation work they have undertaken, until now. Eve highlighted the ways in which a community archive project can continue for many years through uncertain funding and yet achieve so much. She stressed the importance of their volunteers in helping to catalogue and digitise the material, and is working on guidance so that cataloguing to continue after her three year post has ended. The afternoon included two short sessions where conference delegates had the opportunity to speak to the participants about their work and appeal for advice and assistance. Strictly limited to two minutes each, a wide variety of projects were covered, providing a snap shot of the diverse activities of community archives all over the country. The National Archives’ Tim Padfield then gave an informative lecture concerning copyright law and its impact upon community archives. Speaking concisely about an undoubtedly complex subject, Padfield was able to explain the salient points of relevant legislation, particularly with regard to photographs. Time was allowed for questions from the audience which emphasised the wide range of material held by community archive groups and its varying uses. Conference participants were reminded that The National Archives provides an advisory service, and will respond to queries from any individual working with archives. 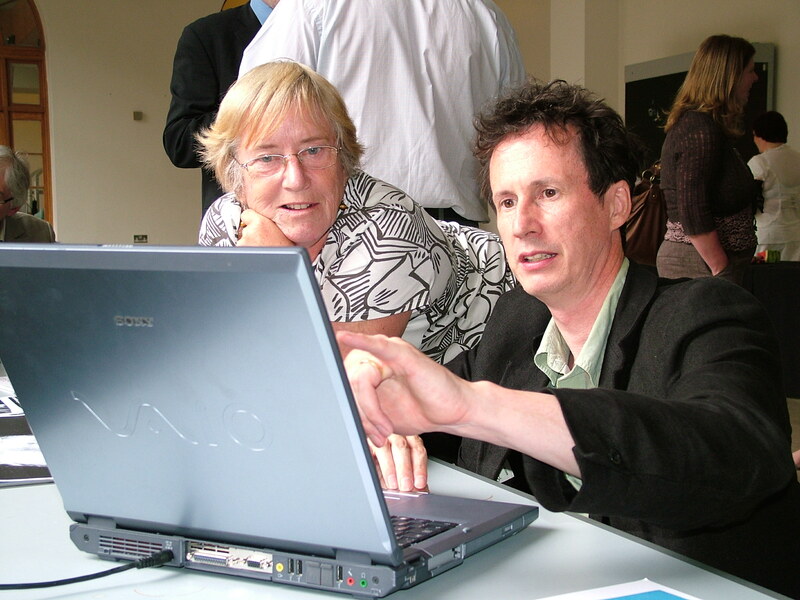 Judith Harvey and Jim Aston from Cambridgeshire Community Archive Network described the move to self-sufficiency sustained totally by volunteers. 48 groups now contribute to the archive paying an annual £100 fee. Harvey explained that although some smaller groups with one or two people involved find this difficult, many are sponsored, fund-raise, hold exhibitions or give presentations to fund their subscription. Informal area groups provide support and at the handover event there was a real buzz of enthusiasm with reports of exhibitions attracting around 500 people and interest from schools wishing to create a local archive. The work of Len Garrison, founder of the Black Cultural Archive in 1980’s, was the focus of Kelly Foster’s fascinating account. 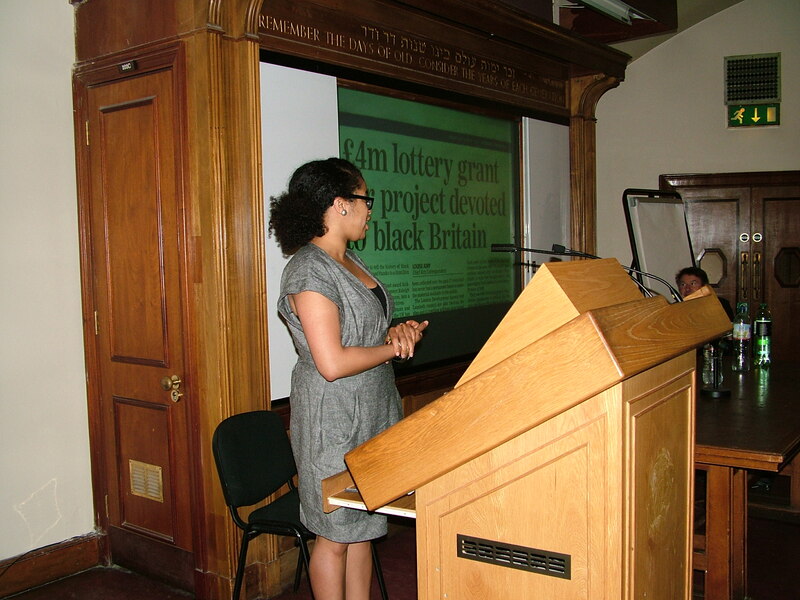 She described Garrison’s dream to create a permanent home for resources of black heritage in the UK , soon to become a reality with Heritage Lottery funding to refurbish a Grade II listed building, Raleigh Hall, in Lambeth. The aim is to create a purposely designed space for exhibitions, educational activities, preservation of important stories and papers relating to British Black History and to train black people in the archiving and curating professions. The centre is due to open in 2011 and has a collection of over 8,500 items that have now been catalogued with the assistance of over 20 volunteers. 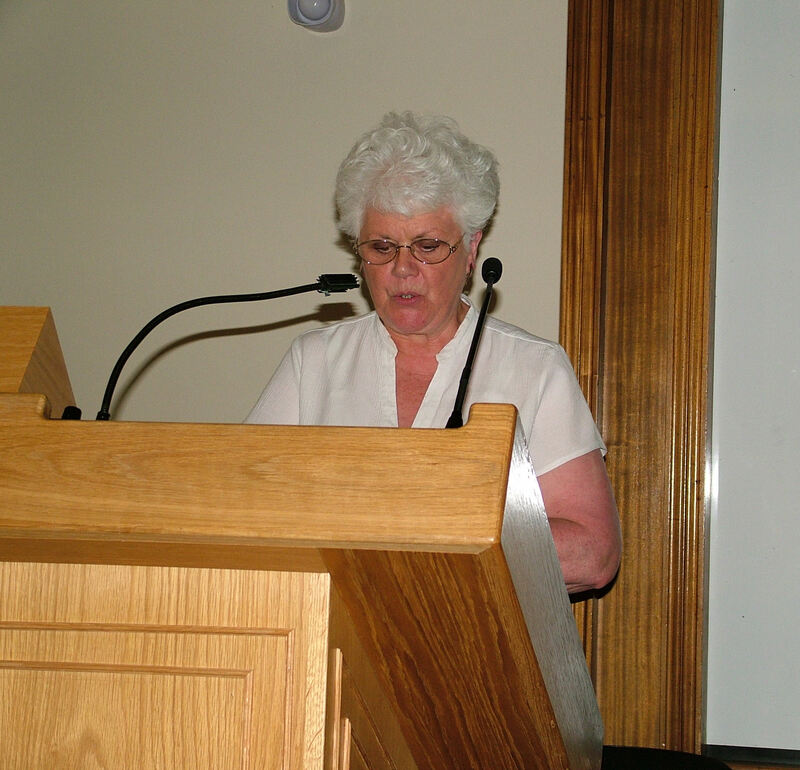 The conference provided a useful opportunity for those involved in community archives to share their experiences and successes, whilst providing a supportive forum for advice and questions. It was a pleasure to see professional archivists and enthusiastic volunteers learning from each other about the best ways to preserve and share the records of our past. It is hoped that the newly ratified Community Archives and Heritage Group will be able to help ensure that the sector is sustainable into the future. This page was last updated on 27 February 2015.